Brennen is eleven years old, and has a diagnosis of Spastic Quadriplegic Cerebral Palsy, Seizure Disorder, Global Developmental Delay and Cortical Visual Impairment. Brennen uses a wheelchair and is non-verbal. He requires complete assistance in all aspects of his life and because of his disability, requires stimulation for all areas of development. 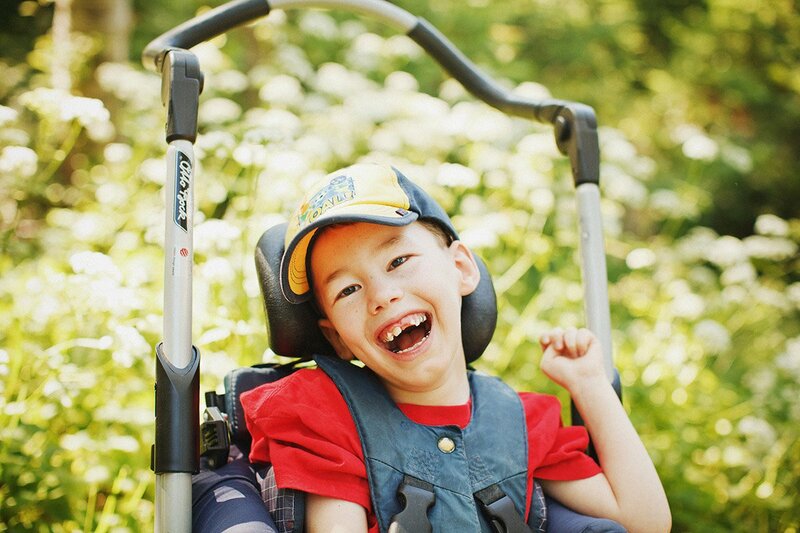 Despite his many challenges, Brennen is a happy little boy! He is very active in Easter Seals programs, swimming, music therapy, and Rainbow Riders. Brennen enjoys school, and has just completed Grade Four!